Have you ever wondered what it would really take to make and star in your own martial arts film? For most of us, starring in a kung-fu movie is a fantasy. Maybe a daily one, but a fantasy nonetheless. For Canadian Elliot "White Lightning" Scott, it's a reality. 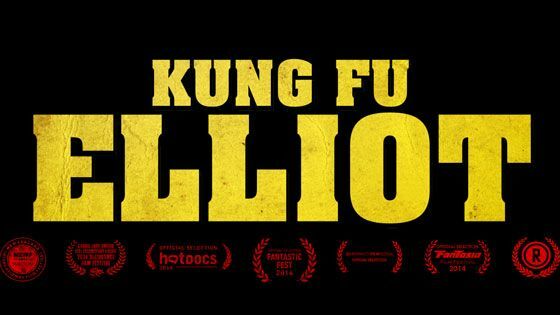 Set over two years of filming the self-proclaimed 'karate epic', Blood Fight, Kung Fu Elliot follows Scott and his crew behind the scenes, capturing every ounce of agony and passion driving the martial arts project. Check out the trailer below. So far the quirky dram-edy has managed to take the Winner of Best Documentary Feature at Slamdance 2014 as well as various other accolades at numerous film festivals around the world. While screenings right now look to be extremely limited, we hope it won't be long before this potential gem lands at a film-house near us. So what do you guys think? Is this one you'll keep your eye on or will it be a pass? Let us know your thoughts in the comments below! We love to hear from you! We try our hardest to keep you up to date on the latest and greatest martial arts sports and entertainment news! If you've found something you've enjoyed, want to see more of, or just have a comment about, please throw us some feedback in the comments section below! Want to keep up to date on the newest KarateMart.com Blog Posts? Keep yourself in the loop by following our Google Plus Page! Did you know we have a Google Plus Page now? Give us a +1 and throw us in one of your 'Cool' Circles. We promise we'll do the same for you!